Home Haunts have become increasingly popular throughout recent years. Homeowners are taking it upon themselves to scare the living daylight out of the neighborhood. Whether it be with interactive monsters, scary music, heavy fog or crazy strobe lights-these Florida Home Haunts are not something to be missed. You can find Home Haunts all across Florida and most likely in a neighborhood near you. These usually free haunts will be an exciting way to spend your time during Halloween season. Be prepared for mayhem, fun and something to pop out of every corner. 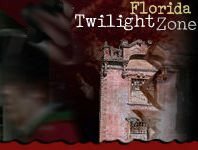 FloridaHauntedHouses.com has a list of haunts that will give you thrills.